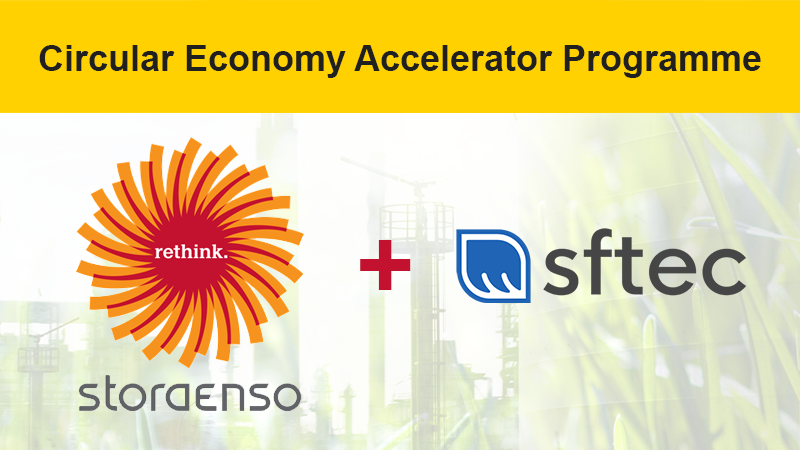 SFTec has been chosen to take part in Stora Enso’s global Circular Economy Accelerator program for startup companies. After a demanding selection process, only six companies around the world were chosen to take part in the program. The aim of the Accelerator is to explore radical opportunities of circular economy through co-creation. During the 3-month program the selected startups and Stora Enso Talents will be working in close cooperation to find new solutions based on circular economy. The Accelerator launches January 2019 and it is facilitated by Stora Enso, Aalto University Developing Entrepreneurship (Aalto ENT) and Vertical. The renewable materials company Stora Enso has been awarded the most startup friendly company of Finland in 2018.